Stuttgart. 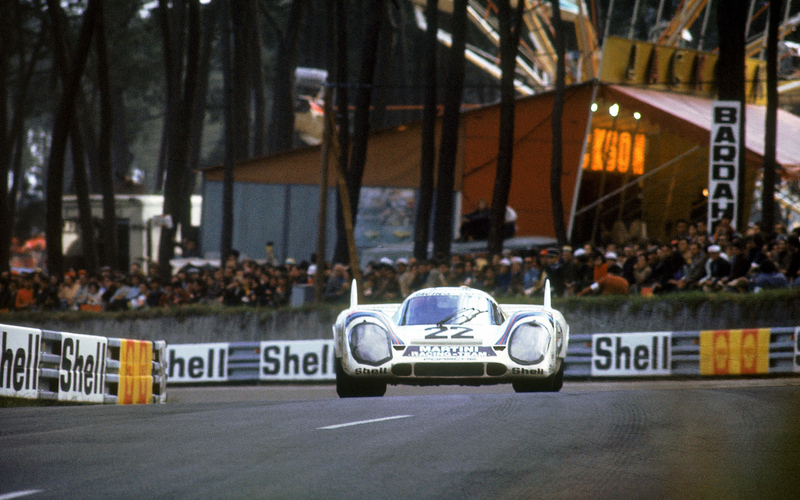 Porsche heads into the 2014 season with the most extensive motorsport programme ever. In addition to its new LMP1 project, Porsche Motorsport sends two GT works teams to compete on race tracks around the world. 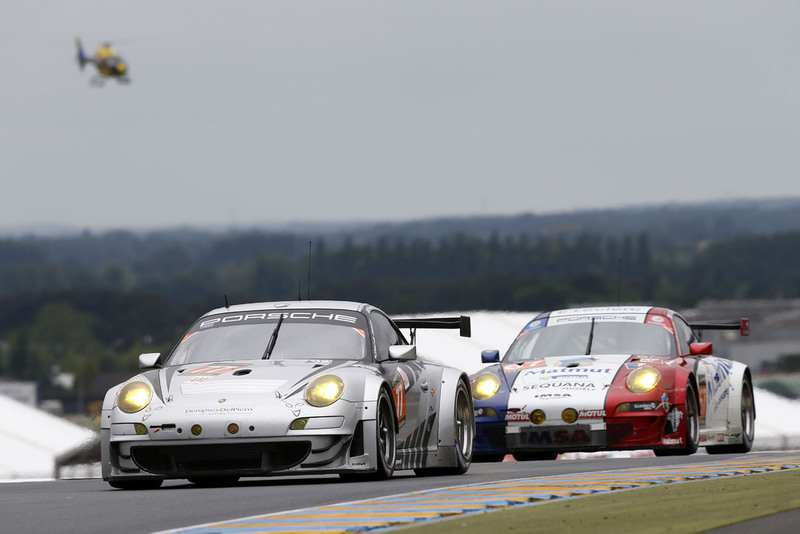 Porsche AG Team Manthey again fields two Porsche 911 RSR in the Sports Car World Endurance Championship (WEC), as well as at the Le Mans 24 Hours. Porsche North America contests the new Tudor United Sportscar Championship with CORE autosport as the race team, with the new season kicking off at the Daytona 24 hour race on 25 January. 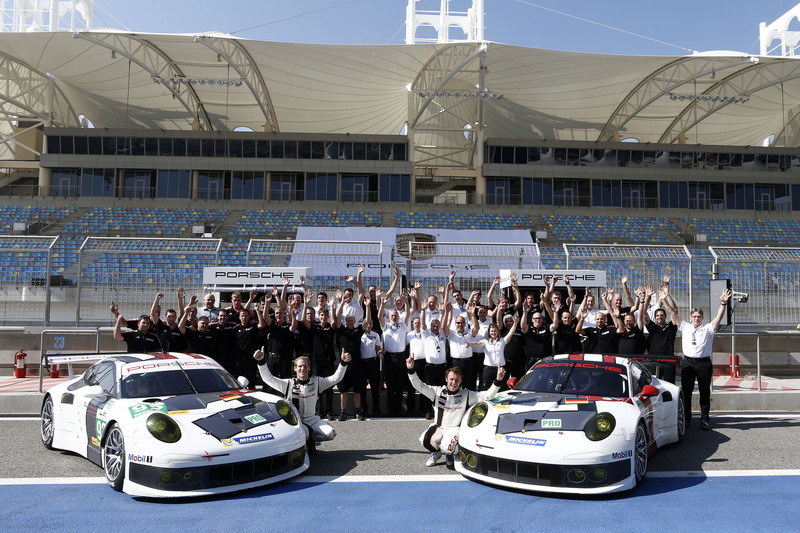 Porsche Motorsport’s driver squad has also grown to record size. For the upcoming season, Porsche has signed on 20 drivers including four Porsche juniors and a scholarship candidate chosen from the international one-make race series. 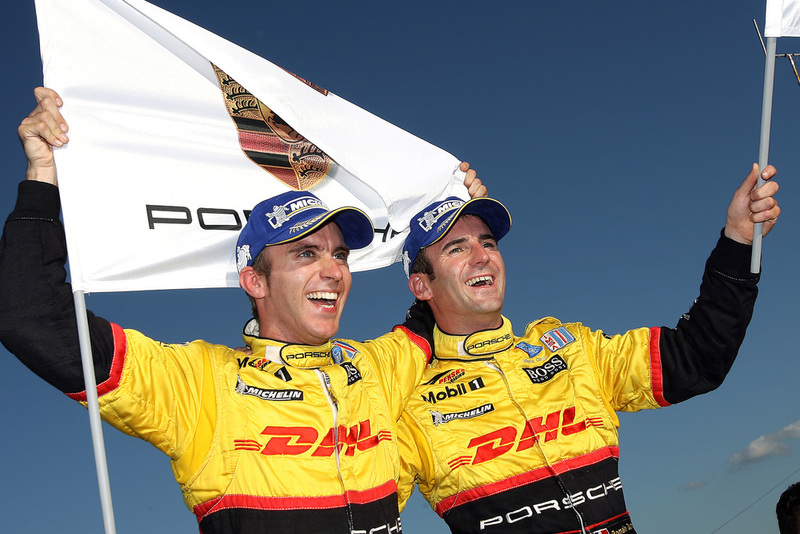 All current Porsche factory pilots have received a contract for the 2014 season. “We’ve never had such a large driver line-up in the history of the company,” says Wolfgang Hatz, Board Member for Research and Development at Porsche AG. 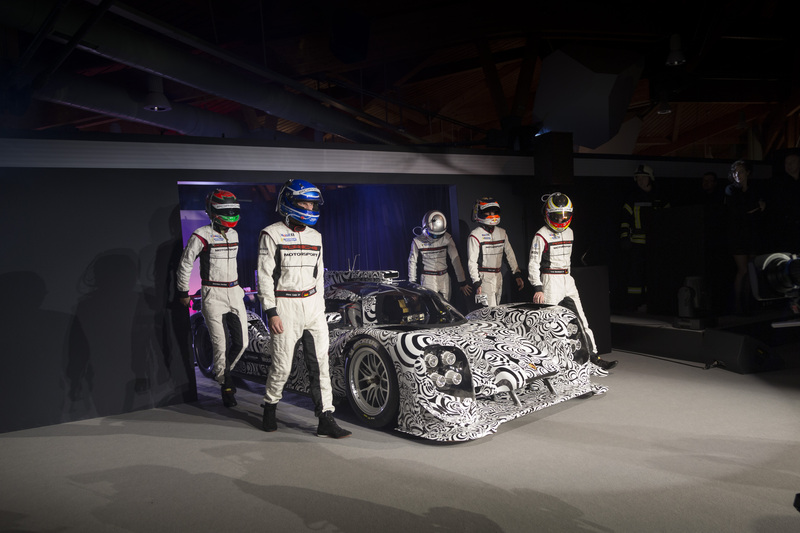 Porsche AG announces its driver line-up and the vehicle name for its return to the top category of the Sports Car World Endurance Championship (WEC) in 2014, with the season highlight in Le Mans: On the occasion of the Porsche Night of Champions this Saturday in Weissach, the young New Zealander Brendon Hartley (24) and long-standing Porsche works driver Marc Lieb (33) from Germany have been confirmed as regular drivers in the LMP1 race car, officially called the “Porsche 919 hybrid”. Already signed on for the LMP1 project are the drivers Timo Bernhard (DE, 32), Romain Dumas (FR, 36), Neel Jani (CH, 30) and the Australian Mark Webber (37). 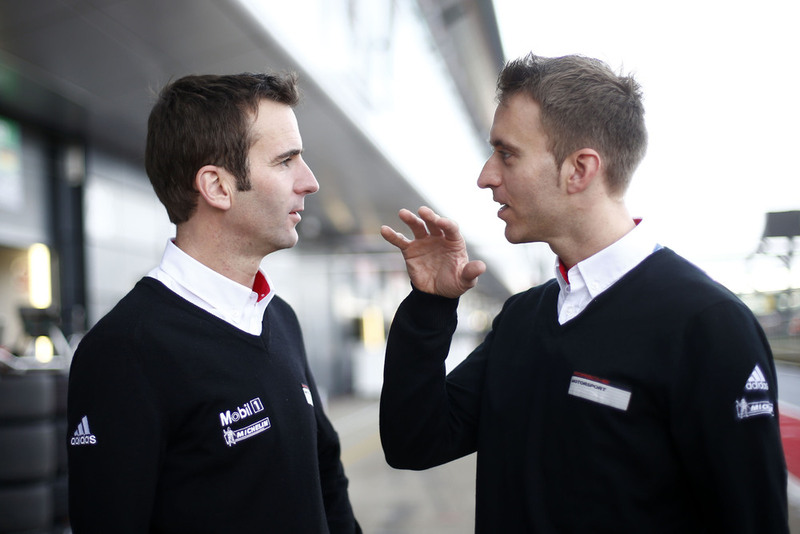 Timo Bernhard and Romain Dumas were the first drivers to be selected. The two bring the experience of seven overall victories each from 24 hour races – Nürburgring, Daytona, Spa and overall victory together in Le Mans with Audi. In July 2013, the ex-Formula 1 test driver Neel Jani joined the team, with Mark Webber onboard since the end of the 2013 Formula 1 season. Brendon Hartley and Marc Lieb now complete the squad. “For me a lot of it is familiar, a lot is foreign, everything is special. 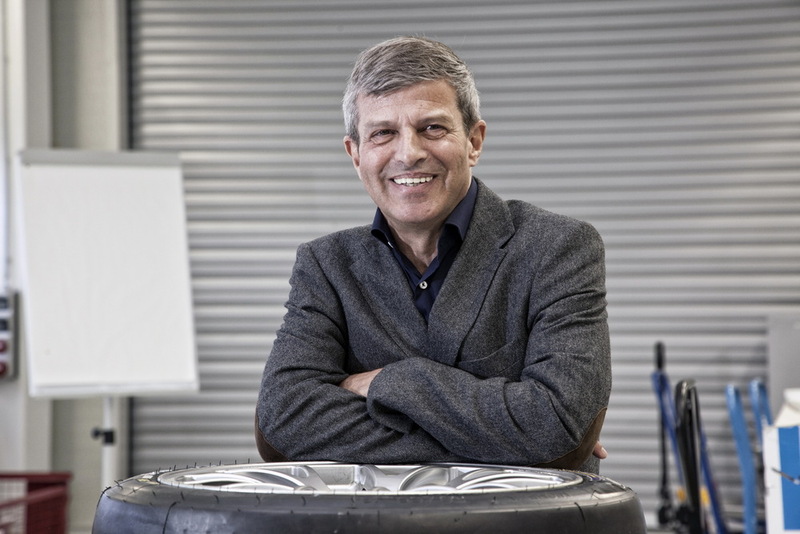 I’m absorbing every bit of information I can and I’m already looking forward to the next tests.” The nine-time Grand Prix winner took the wheel of the 919 hybrid for the first time several days ago in Portimão, Portugal. Frenchman Frédéric Makowiecki (33) will join the ranks of Porsche Motorsport’s GT squad this coming season and pilot a 911 RSR. Makowiecki, who prefers to be called Fred Mako, is a regular competitor behind the wheel of Porsche race cars. He has collected more than nine years of experience in the cockpit of the 911. One of his greatest achievements was clinching the title of the Porsche Carrera Cup France in 2010. Porsche has acquired a 51 percent stake in Manthey Racing GmbH and as such continues to expand its long and successful collaboration with the race outfit from Meuspath at the Nürburgring. “I’m sure this will help us to prepare even better for the challenges we are facing together in the WEC and I look forward to working with Olaf Manthey, Nicolas Raeder and Martin Raeder,” says Wolfgang Hatz. After a successful season in international GT racing, Austrian Martin Ragginger (25) can celebrate winning the Porsche Cup as the best Porsche private driver in the world. On the occasion of the Night of Champions on 14 December in the R&D Centre at Weissach, Ragginger accepted the Porsche Cup from Dr. Wolfgang Porsche, Chairman of the Supervisory Board at Porsche AG. After earning 5,940 points this past season, Ragginger also takes home a new Porsche 911 Carrera S with a total value of more than 120,000 Euros. Second-placed Klark Quinn (AUS) is the recipient of 30,000 Euros, with Robert Renauer given 25,000 Euros for third place. The Porsche Cup comes with a total purse of 253,000 Euros. As the brainchild of Ferry Porsche, this trophy has been awarded every year since 1970 to the best private Porsche race driver. 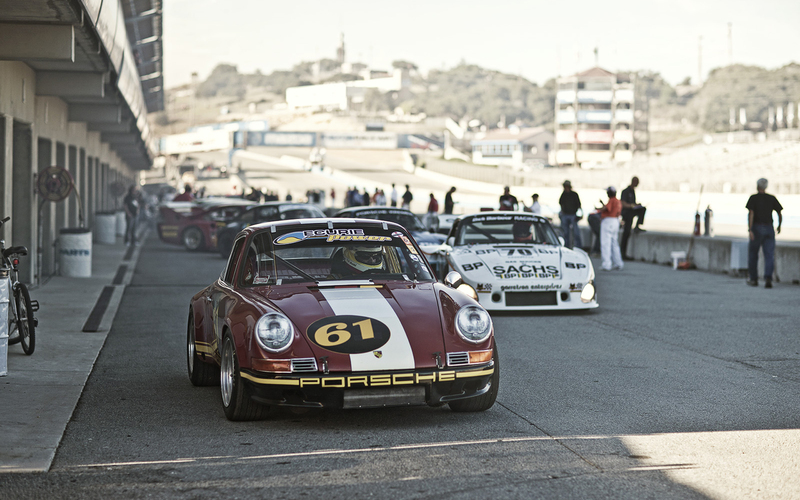 Pilots earn points towards the Porsche Cup in 18 international race series as well as at selected long distance races. Professional racer Martin Ragginger, who contested his first kart race at the age of nine, competed in six race series during 2013. 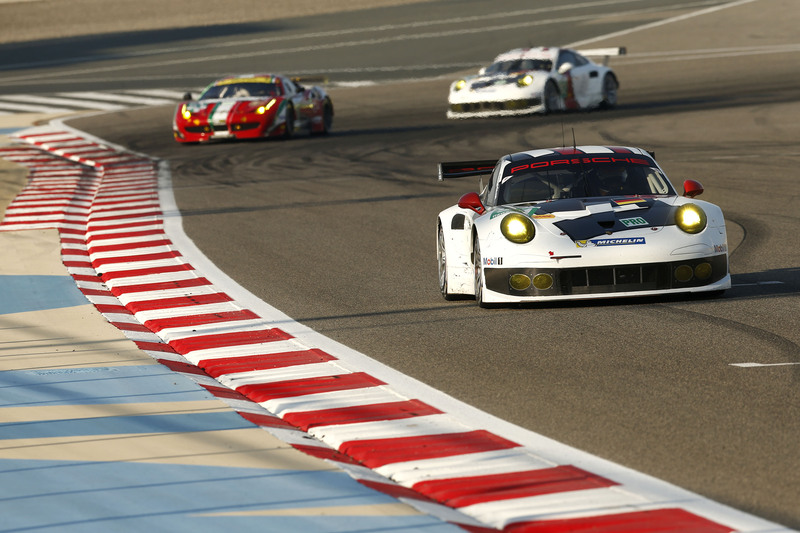 He celebrated his greatest success of the season at the 24 Hours of Dubai, winning the A6-AM class for GT3 vehicles. Ragginger also tackled the ADAC GT Masters at the wheel of a 911 GT3 R and concluded the season in fourth overall. The Austrian earned more points towards the Porsche Cup in the VLN on the Nürburgring, at the Campionato Italiano GT, in the Grand-AM and in the Blancpain Endurance Series. Trailing Ragginger by just 110 points, Klark Quinn (31) came a close second in the fight for the Porsche Cup. Quinn secured the 2013 Australian GT Championship title, winning three out of twelve rounds of the Australian series, and climbing the podium eleven times. At the twelve-hour race at Bathurst, Australia, he achieved third place at the wheel of a Porsche 991 GT3 R fielded by his team “VIP Petfoods Racing”. After an exciting season, Robert Renauer clinches the third spot on the Porsche Cup podium. The 28-year-old from Jedenhofen in Bavaria earned Cup points at 17 races. In the ADAC GT Masters, the qualified car salesman secured second place in the overall classification with his team Tonino powered by Herberth Motorsport. Renauer went on to score more points at rounds of the Campionato Italiano GT, as well as in the Blancpain Endurance Series and the GrandAM Rolex Sportscar Series. The Porsche Mobil 1 Supercup continues to run as part of the Formula 1 weekends. The successful partnership, which began back in 1993, has now been extended for another three years, up to and including the 2016 season. For more than two decades, the flagship of Porsche’s one-make race series has been regarded as one of the major launching platforms for an international GT career. 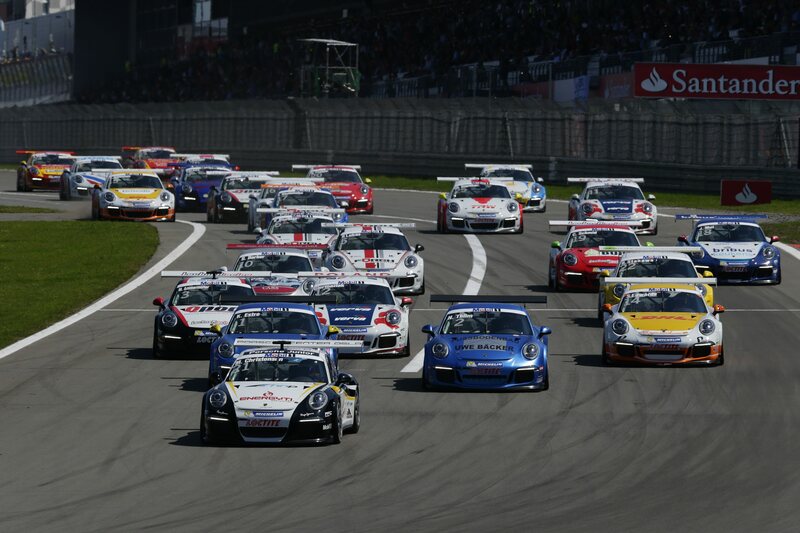 The Porsche Mobil 1 Supercup heads into its 22nd season on 11 May 2014 in Barcelona. Nine events with a total of ten races make up the calendar. A highlight of the season will be on 12 October at the Supercup debut on the new Formula 1 circuit in the Russian Olympic city of Sochi. Stuttgart. The race is on: On Saturday at 15.00 hours, the honorary starter of the Le Mans 24 Hour race Jim France, the founder of the American Grand-Am Series, sent the 56 cars on their way. Watched by Dr Wolfgang Porsche, Chairman of the Supervisory Board at Porsche AG, and Matthias Müller, Porsche AG Chairman of the Executive Board, two Porsche 911 RSR fielded by the Porsche AG Team Manthey as well as five customer team-run Porsche 911 GT3 RSR headed into the 81st edition of the most famous long distance race in the world. In the first hour of the race, in which there was a long caution period due to an accident, Porsche works driver Marc Lieb (Germany) moved up into second place in the GTE-Pro class at the wheel of the Porsche 911 RSR with the starting number 92. His works driver colleague Joerg Bergmeister (Germany) made up three places in the 911 RSR with the starting number 91 also run by Porsche AG Team Manthey and now ranks fourth. In the GTE-Am class three Porsche 911 GT3 RSR sit in the lead: Front-runner is Porsche works driver Patrick Long (USA), followed by his factory pilot colleague Wolf Henzler (Germany) and Paoli Ruberti (Italy). Stuttgart. 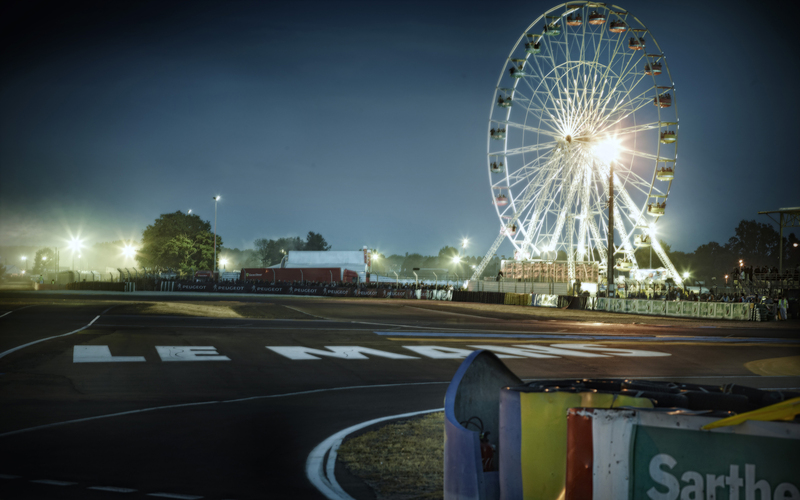 At the 24 Hours of Le Mans, Porsche returns to the pinnacle of endurance motor racing in 2014 with a newly designed sports prototype. The greatly anticipated comeback will be accompanied by a multimedia microsite entitled “Mission 2014. Our Return.” on porsche.com/mission2014. It takes fans on an interactive journey through 60 years of Porsche Motorsport history showcasing previously unreleased films, photo galleries and stories. 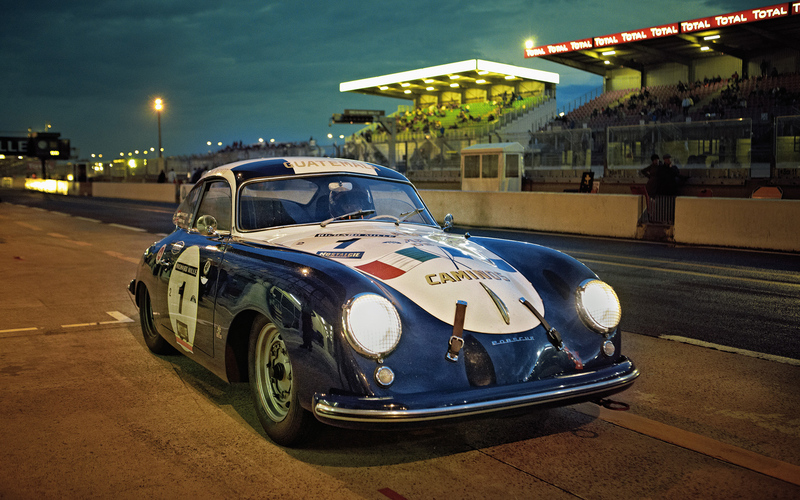 Phase one of the three-stage Web Special highlights the legendary venues of Porsche’s racing history and brings the greatest moments of motorsport back to life. 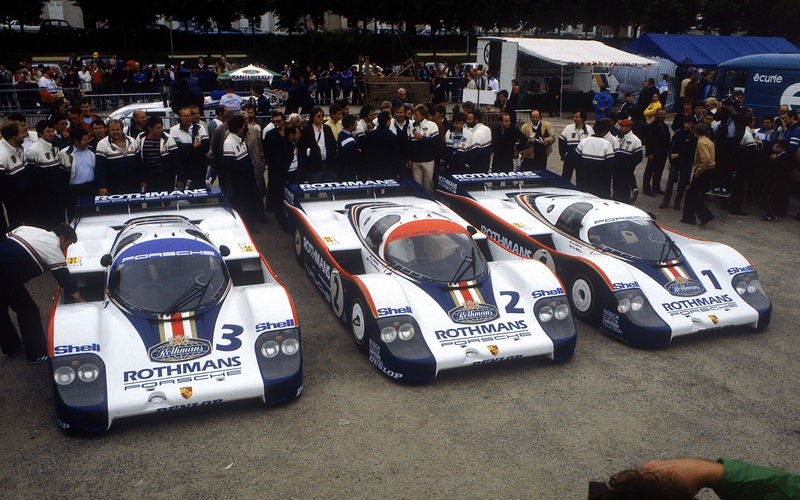 Each week, new content is added, outlining why Porsche and motorsport are inseparably connected. In addition to historical film documentaries, interviews with drivers, engineers and former race directors allow a fascinating glimpse behind the scenes. Stuttgart. 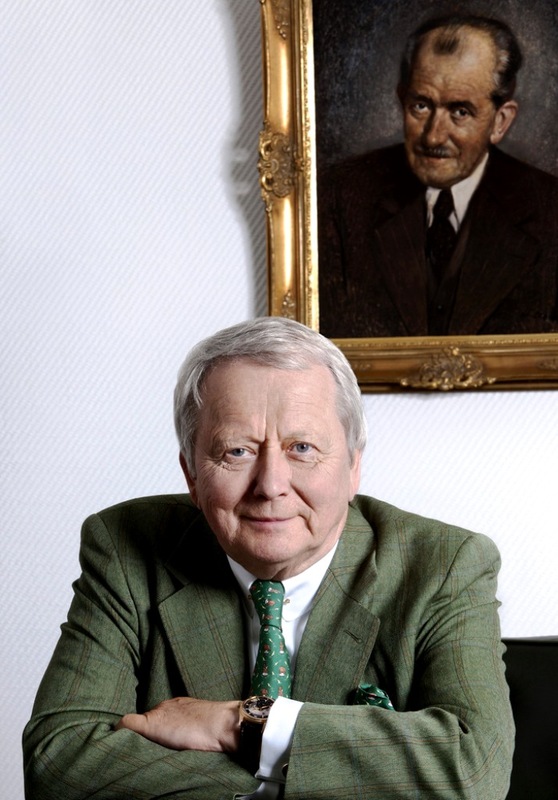 Dr. Wolfgang Porsche, Shareholder and Chairman of the Supervisory Board of Porsche Automobil Holding SE as well as of the Dr. Ing. 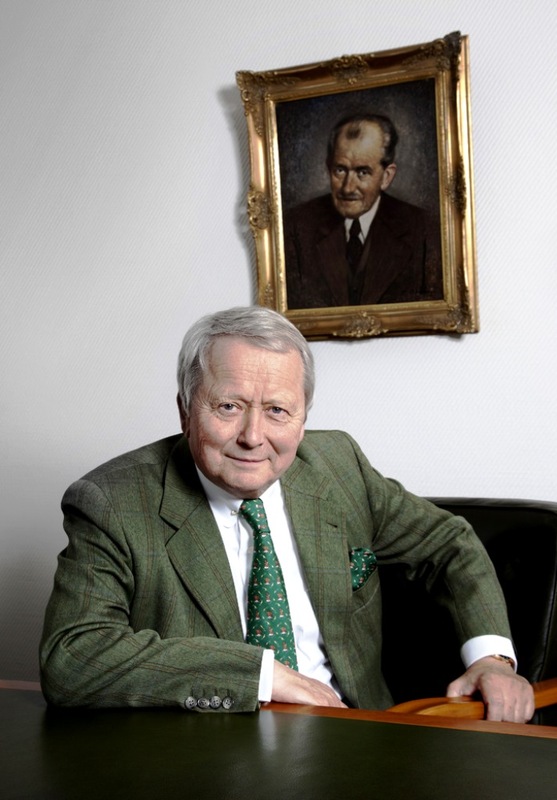 h.c. F. Porsche AG, is celebrating his 70th birthday on May 10, 2013. “The fact that a member of the founder family is actively representing our company internationally is essential for many Porsche fans in their extraordinary identification with the brand and its products. 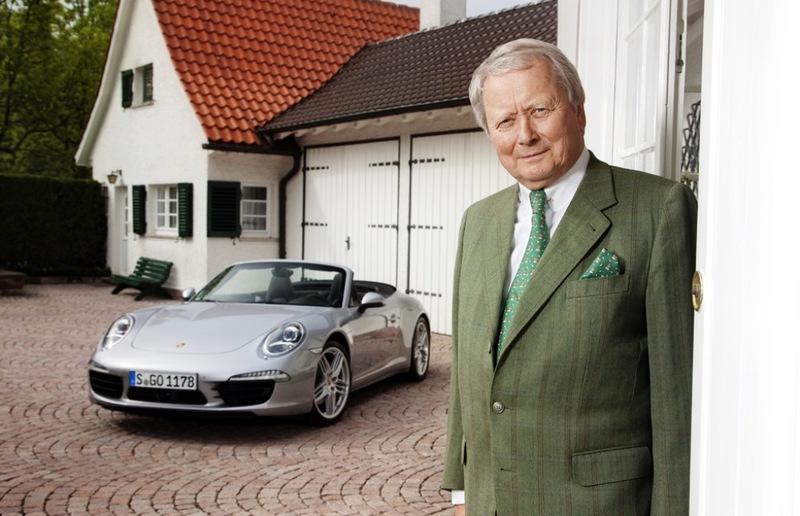 Wolfgang Porsche was born in Stuttgart on May 10, 1943, the youngest son of Dorothea and Ferry Porsche, the founder of the Porsche sports car brand. His grandfather was the brilliant automotive design engineer who shaped the history of the car with his Stuttgart automotive design engineering office. 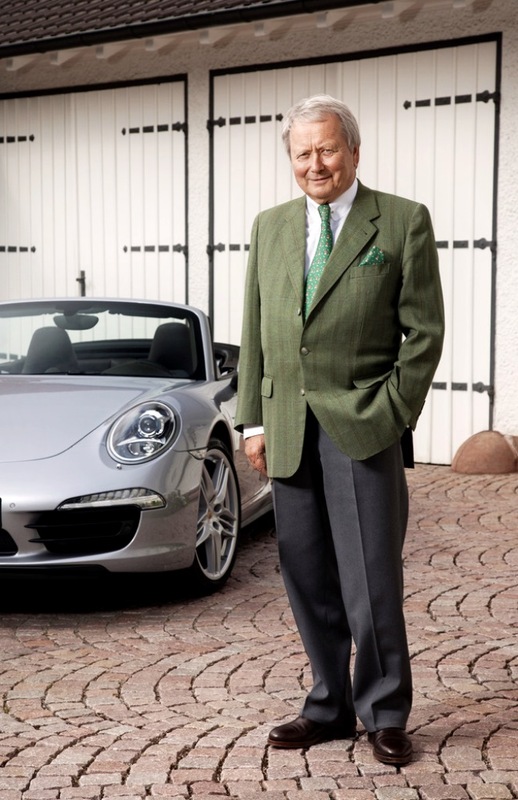 Wolfgang Porsche spent the first six and a half years of his life at the so-called “Schüttgut” in Zell am See, Austria, the estate of his grandfather Ferdinand Porsche. The family, and the company, returned to Stuttgart in 1950. Wolfgang obtained his Abitur (higher school-leaving certificate) in 1965. He also passed his journeyman’s examination as a metalworker. Afterwards, Porsche obtained his degree in Business Administration from the Vienna University of Economics and Business Administration. He received his doctorate in International Business in 1973. At first, Dr. Wolfgang Porsche went into business as an independent entrepreneur: As Managing Director of JAMOTO, he became general importer of Yamaha motorbikes in Austria. He returned to Germany in 1976 and worked at the Daimler-Benz AG in Stuttgart as manager in various areas of domestic and foreign sales. 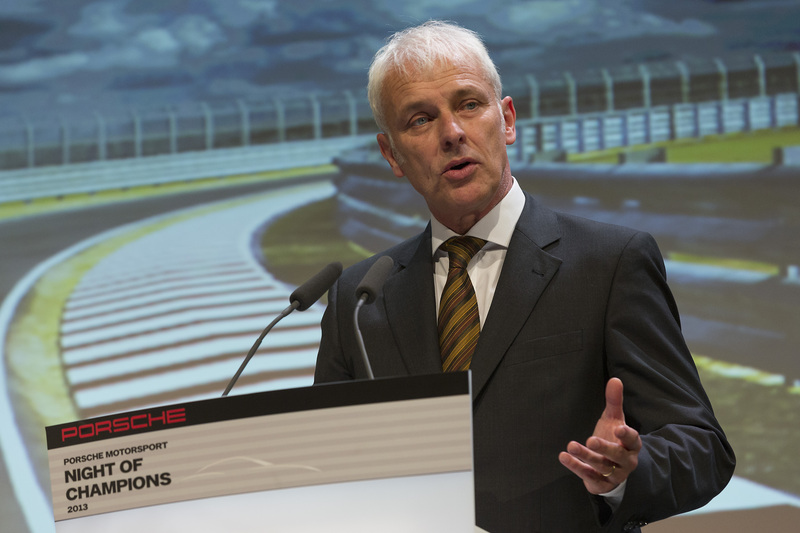 In 1978, he was appointed a member of the Supervisory Board of Porsche AG, taking over the position of Chairman in 2007. He was also appointed Chairman of the Supervisory Board of Porsche Automobil Holding SE at its incorporation in June 2007. In addition, Dr. Wolfgang Porsche has been a member of the Supervisory Board of Volkswagen AG, Wolfsburg, since April 24, 2008. Upon the death of his father Ferry in 1998, he was selected spokesman by the Porsche family. The father of four lives alternatively in Salzburg and the “Schüttgut” in Zell am See, which he acquired from the family estate. There, in Salzburger Land, he operates an Alpine organic farm with around 200 dairy cows. An ardent hunter, he has always felt close to nature. His enthusiasm for sports cars has been the focus of his life from his very early youth on. Over the course of decades, a private collection of vintage cars has evolved that contains numerous very rare Porsche vehicles, which he drives regularly. Dr. Wolfgang Porsche has received numerous honours for his services to business. In 2005, he was awarded the “Great Golden Medal for Services to the Republic of Austria” by the Chancellor of Austria, the highest award granted by his homeland. For his services to the federal state of Baden-Württemberg, he received the Gold “Staufermedaille” Award. 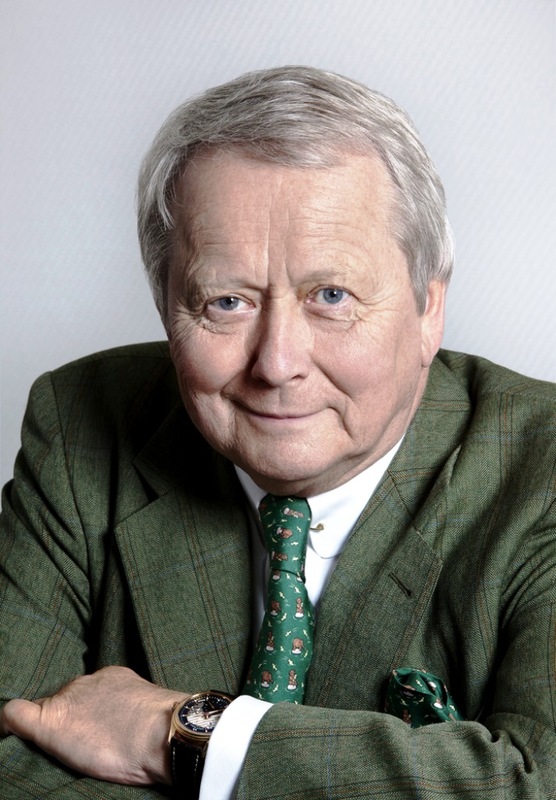 At the onset of 2012, Dr. Wolfgang Porsche was appointed Honorary Senator of Salzburg University and was admitted to the University’s Council in 2013. Stuttgart. Tennis megastar Maria Sharapova has taken on a new role: Effective immediately, the 26-year-old world class player will be representing the sports car manufacturer, Porsche AG, as brand ambassador. The cooperation is initially signed for three years and involves a global communications campaign. The athlete is already very familiar with the vehicles from Zuffenhausen: As last year´s winner of the Porsche Tennis Grand Prix in Stuttgart, Sharapova not only took home prize money, but also a white 911 Carrera S Cabriolet. Born in Russia and living in the United States, Sharapova has achieved victories at all four Grand Slam tournaments in women’s tennis and she was ranked number 1 for a total of 21 weeks. “Maria Sharapova is an exceptional athlete. She combines top performance in her sports with elegance and power. These are precisely the qualities that are embroiled in our sports cars”, as Matthias Mueller, CEO of Porsche AG, explained in today’s introduction of the partnership. According to Mueller it was not easy to find the right person to be Porsche´s ambassador. Maria Sharapova did not really have to think twice: “This is a really special day for me. I have had the privilege to be associated with some of the best brands in the world, but now to be partners with Porsche, is such an amazing honor”, she explained during her presentation in Stuttgart. For Porsche, the choice of Maria Sharapova as brand ambassador extends its long-term commitment to women´s tennis. The company sponsors the German women’s national team, which competes as the Porsche Team Germany in the Fed Cup, and the Porsche Talent Team Germany, which supports promising young players. “We are fully committed to these activities for a long term. And with Maria Sharapova, we are now extending our involvement in women’s tennis globally”, Mueller added. 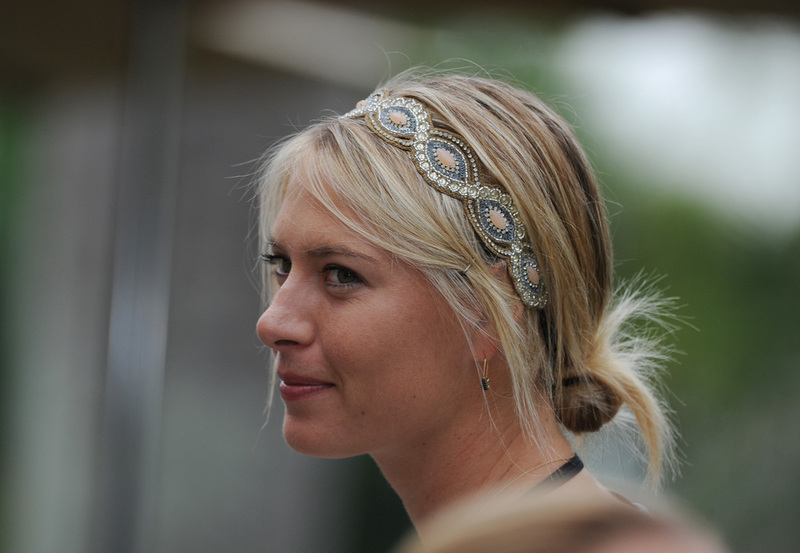 Maria Sharapova was born in the Western Siberian town of Nyagan on 18 April, 1987. She moved to Bradenton on the Gulf Coast of Florida (USA), when she was seven years old. Two years later she was accepted at the world-renowned Tennis Academy of coach Nick Bollettieri. In 2004, at the age of 17, she won her first Grand Slam tournament at Wimbledon, the third-youngest player ever. This feat was followed by titles in the other three Grand Slam tournaments: U.S. Open 2006, Australian Open 2008, and French Open 2012. To date, Maria Sharapova has won a total of 28 singles titles, including last year´s Porsche Tennis Grand Prix in Stuttgart, the WTA Championships in 2004, and the silver medal at the 2012 Olympic Games in London. Along with her involvement in the “Maria Sharapova Foundation”, she is also active as ambassador of the United Nations Development Program. Stuttgart. The first two drivers to contest the top class of the sports car World Endurance Championship (WEC) and the Le Mans 24 hour race are confirmed. Le Mans overall winners Timo Bernhard (Germany) and Romain Dumas (France) will take the wheel of the new LMP1 vehicle from Weissach in the 2014 season. 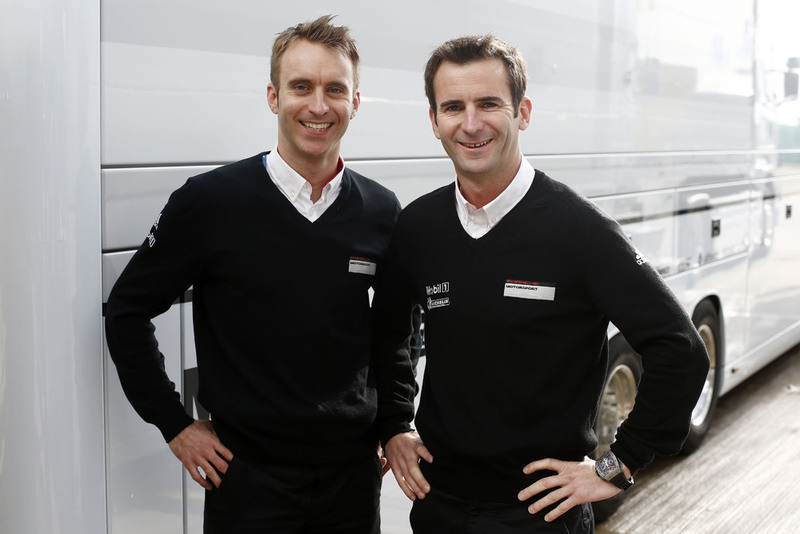 Already this year the two Porsche works drivers Bernhard and Dumas will commence testing the new Le Mans racer. 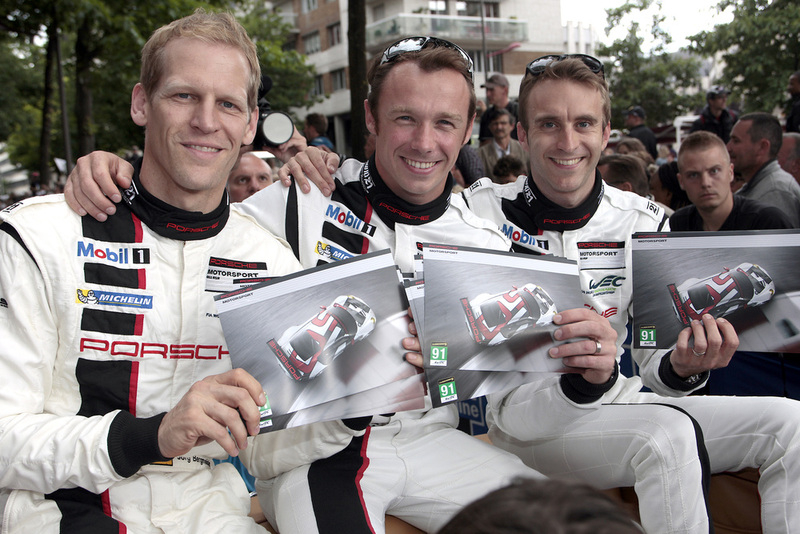 “Timo Bernhard and Romain Dumas are regarded as some of the fastest and most experienced sports car pilots in the world. 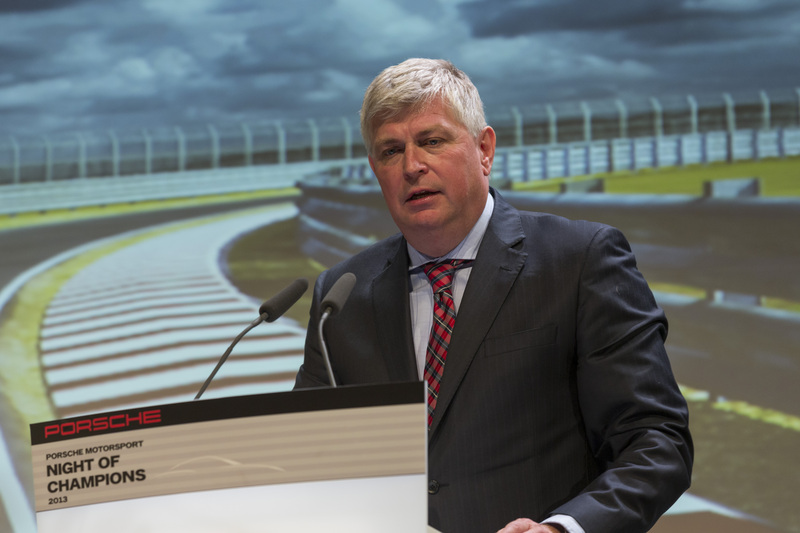 I’m very pleased that we have these two men contesting the World Endurance Championship and the Le Mans 24 Hours for us from 2014”, says Wolfgang Hatz, Member of the Executive Board – Research and Development at Porsche AG. “I particularly appreciate about the two is their competence as test drivers. For this reason the pair is already closely integrated in the development program of our new car and will embark on an intensive test schedule from the middle of this year”, says Fritz Enzinger, director LMP1-project. 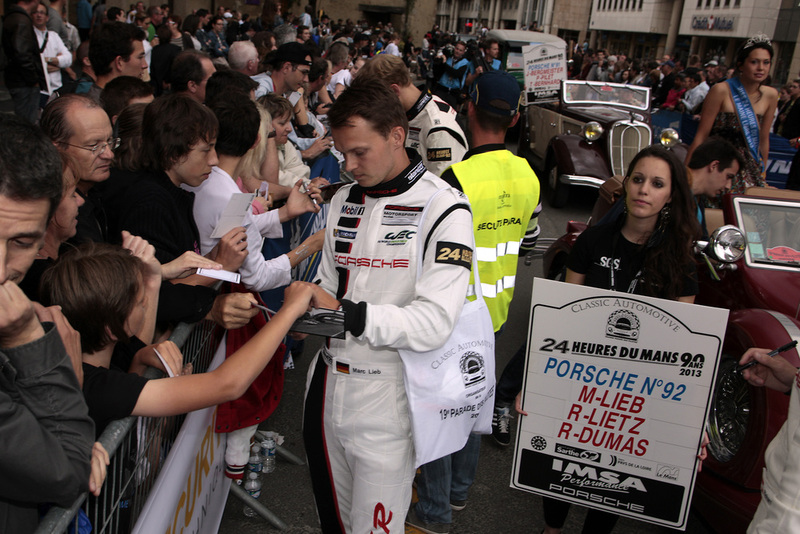 Timo Bernhard comes from Porsche’s own junior development programme. In 1999, Porsche recognised the talent of the then 18-year-old and coached him in the Porsche Junior Team to become a professional race driver. In 2002, Bernhard was signed on as a works driver and since then has notched up victories and championship titles all over the world. 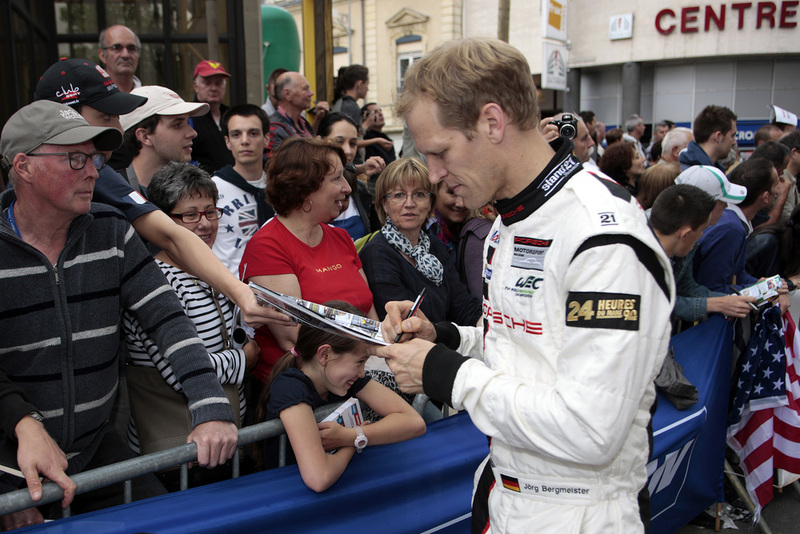 In 2010 he was voted “Race Driver of the Year” by Germany’s automobile club ADAC for his outstanding achievements. Bernhard is the only race driver to have clinched overall victory at all four of the most famous sports car classics. He won the Le Mans 24 Hours in 2010, in 2003 the Daytona 24 Hours, the 12 Hours of Sebring in 2004, and a total of five times at the 24 hour race on the Nürburgring – another record. 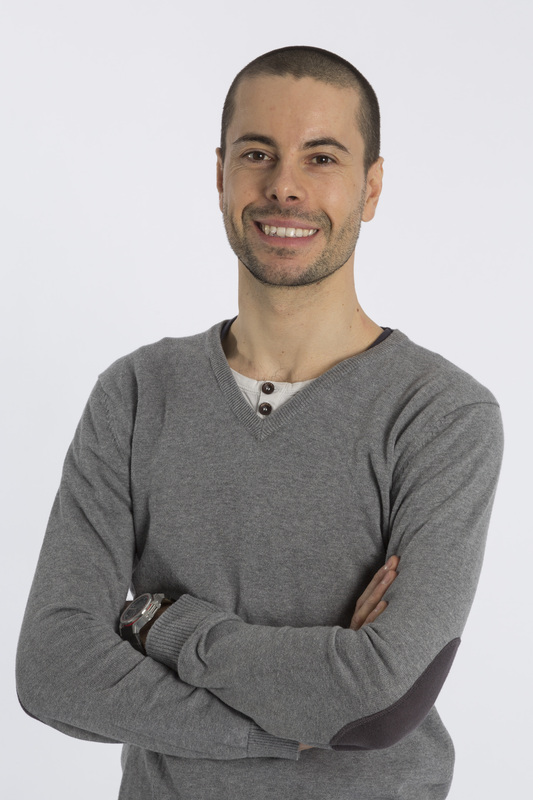 Romain Dumas joined the circle of Porsche factory drivers in 2004. Previously he attracted attention in the Formula 3, Formula 3000, at international GT races as well as the Porsche Carrera Cup Deutschland. He is one of the most experienced pilots at the 24 Hours of Le Mans. 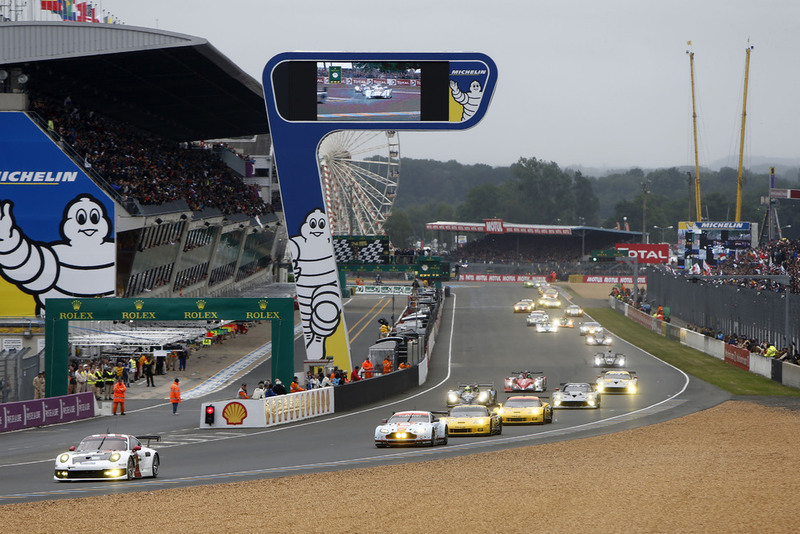 All together, Dumas has contested his favourite race at La Sarthe twelve times. With Timo Bernhard, he scored overall victory there in 2010 at the wheel of an Audi. Together, the pair also celebrated huge successes in the U.S. in the RS Spyder sports prototype. 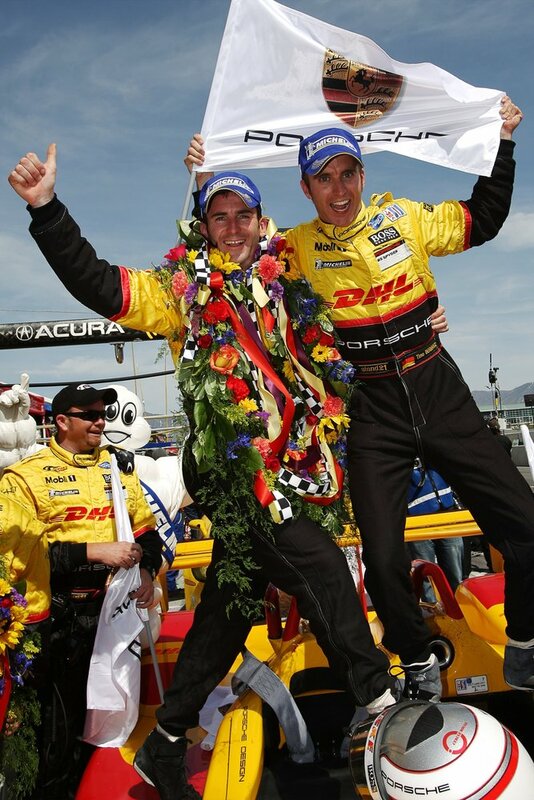 In 2007 and 2008, the two Porsche works drivers convincingly clinched the title in the American Le Mans Series. Bernhard shared the cockpit with Dumas at four of his five wins at the Nürburgring 24 hour race. 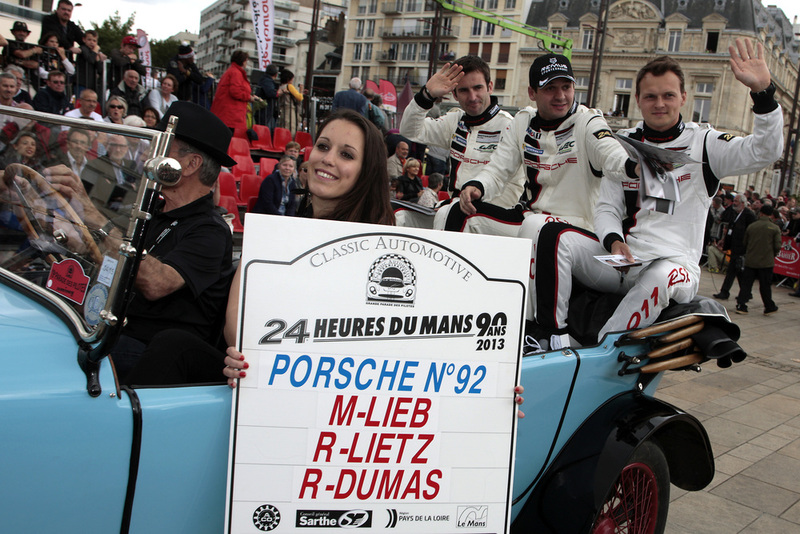 Moreover, in 2010 Dumas celebrated overall victory in Spa at the wheel of a Porsche 911. Our aim is to improve driving skills on an ongoing basis, enabling to drive more safely and deal more effectively with hazards on roads. And yes, also to use the full dynamic potential of a Porsche on the racetrack. 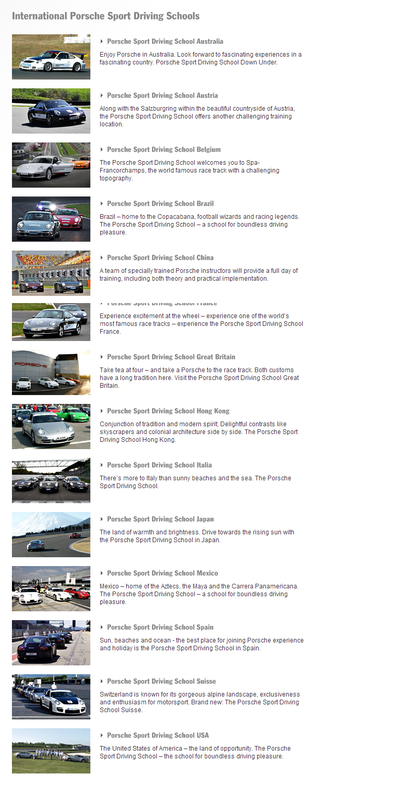 Starting with the basic fundamentals to professional driving skills. 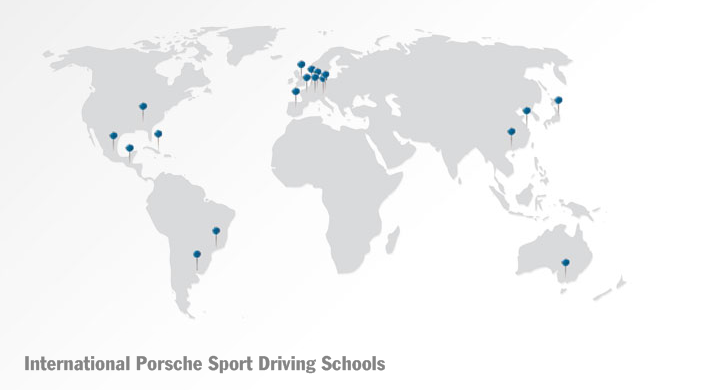 The Porsche Sport Driving School is now based in 14 different locations – across Europe, America, Asia and Australia and now also in Russia, kicking off in Ninzhniy Novgorod.